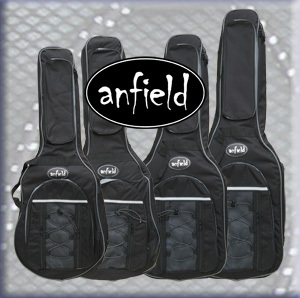 Anfield is our house brand for guitar accessories.Our guitar gigbags are the flagship example. A luscious 25 mm of padding and more accessory compartments than you can shake a guitar at. Anfield is dedicated to protecting your hard-earned instruments! Not to mention our industry standard AT300B tuner. And keep a keen eye on this page for numerous additions slated for release later this year!